Well, everyone's favorite pink and slow Pokemon now has a reggae song. It's totally official, too. The music video for it is...just watch it. 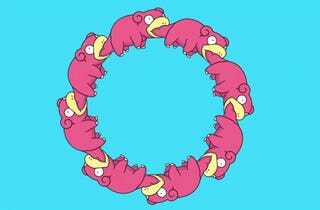 The song is title "Donai Yanen Yadon" (どないやねん ヤドン), which loosely translates as, "How You're a Slowpoke After All." The lyrics are very humorous and say things like, "Your big mouth is always open like a convenience store" and "Is it something to be proud of that you move so slowly that you never blur photos?" Funny stuff! 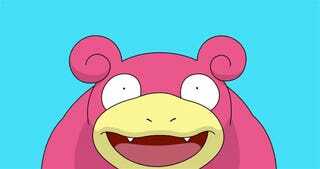 In Japanese, Slowpoke's name is "Yadon" (ヤドン). Over the years, I've learn to become a big fan of this Pokemon.